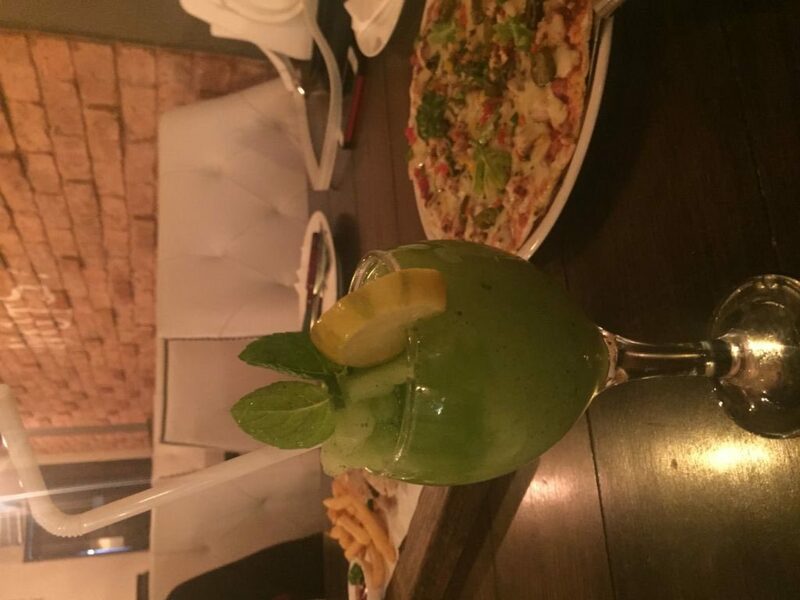 With every passing day, Karachi is gifting us with so many new restaurants with new cuisines to try. 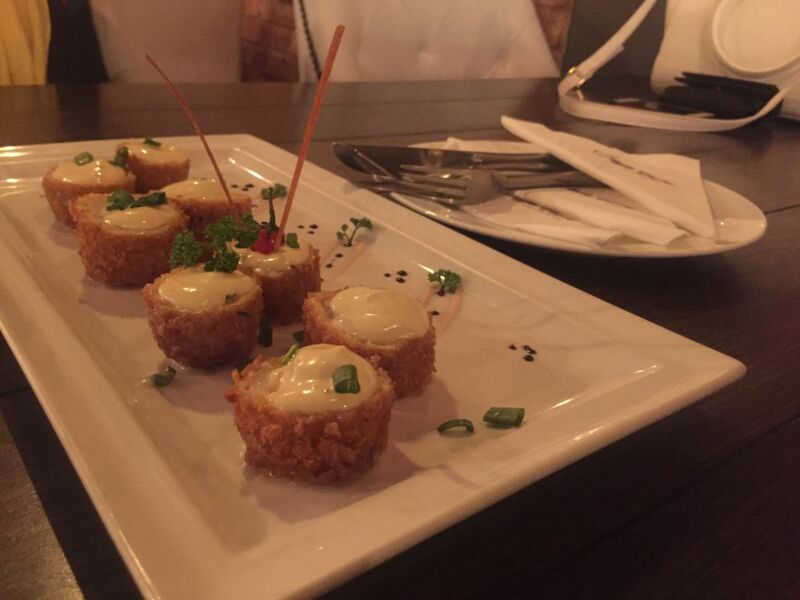 Each offering its own authentic dishes and cuisine to satisfy our taste buds. I recently came across one such name: Koffie Chalet and planned to peek in. 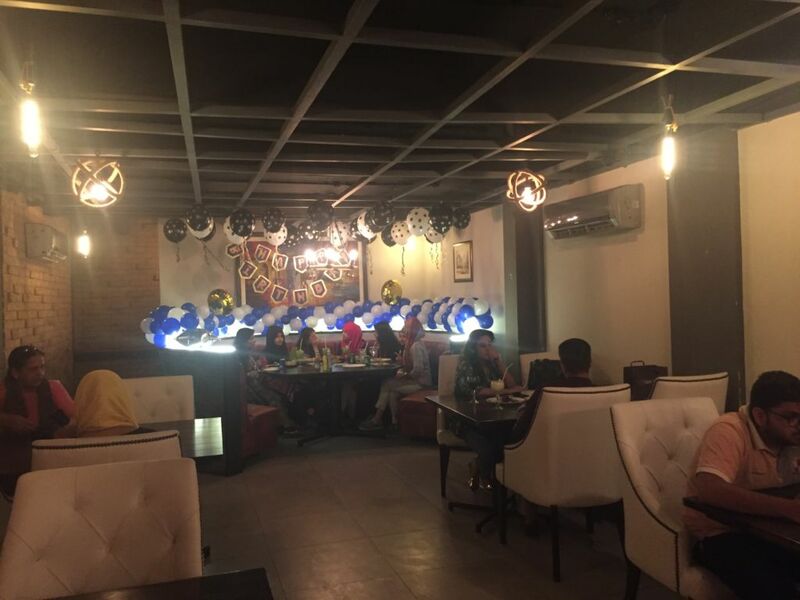 Right from the start, I encountered a very friendly and jovial staff, the restaurant had a soothing atmosphere with a very pleasant playlist (awful playlist ruins the entire mood seriously), dim lights and fancy seating. There was a birthday celebration going on inside and I adored their birthday setups; great place to celebrate events and can make anyone feel very special. Let’s talk about the food which is what we live for, don’t we? I started off with an appetizer and ordered Chicken Cheese Goujon’s. For the main course I had, Steak in Marinated Sauce and Roasted Beef Sandwich. To compliment food, ordered Minttu and Chalet Oreo Shake in drinks. As mentioned earlier, the staff was very warm and so was their service. Very speedy; did not make us wait for long. Actually, it was so quick I wasn’t myself prepared to hog on the food. Within 5 minutes, I was served with the delectable yet so beautifully given food. Though the waiter explained what it actually was, I was still anticipating a lot about how this new dish is going to turn out for me. In all seriousness, I did not want to eat it but only wanted to stare at those delicate Goujon’s. The glazing cheese with every bite melted in my mouth, I was really flabbergasted. From crispy crumb to the chicken inside everything was well textured and flavoured. Also, the good thing was, the appetizer, unlike many restaurants, wasn’t served in small quantity, but easily 2 to 3 people can enjoy this platter before the main course. Obviously, after appetizer my expectations went a little higher for the main course. 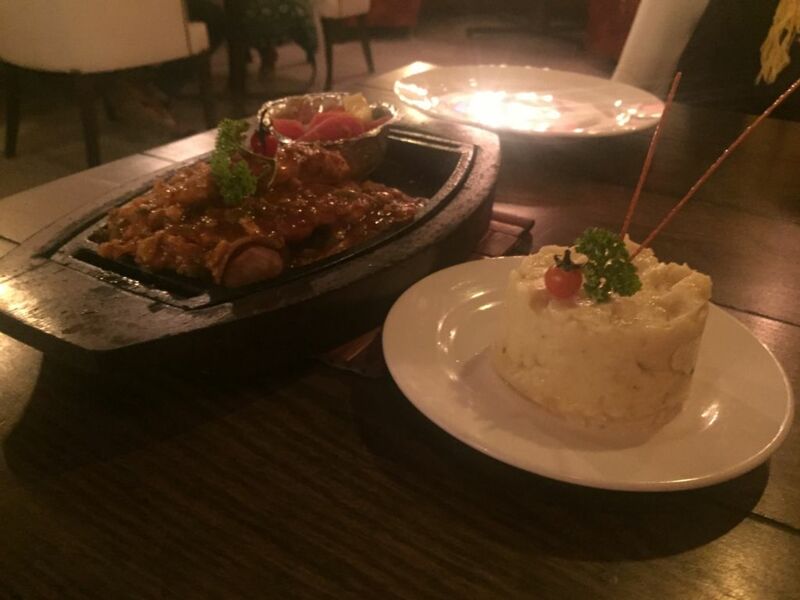 Started off with the sizzling steak, which I ordered with a sideline of Mashed potato (served in exorbitant quantity). I don’t even know how to describe it, to do justice with it. From the steak temperature to the caramelized onions, to the Mexican sauce, to the seasoning and oh my god the Mashed potatoes were divine (just wanted to dive in). Even the sautéed vegetables served alongside were so fresh and just cooked to the perfection without being over done. This steak can be ordered in either or chicken or beef. In burgers and sandwiches, with the importance of stuffing inside, equally important is the freshness of bread or bun. Koffie Chalet has raised its bar seriously by serving so spongy and fresh bread that I was in utter love with the sandwich. The beef was roasted with the right amount of peppers coupled with an adequate amount of cream cheese and salad leaf. In every bite, I could feel the love of bread and beef together. Oh, and the French fries served were crispy and given in abundance. The drinks with the food were: Minttu and Chalet Oreo Shake. Minttu (about which I thought would be any fresh mint lemonade) believe me without any brag, it hit my taste buds! Just the right amount of mint and lemon to made it so so refreshing. Chalet Oreo Shake was really crazy for one person. I mean I could not just finish it that easy. It was really heavy and I felt guilty of not having it finished till the very last slurp. 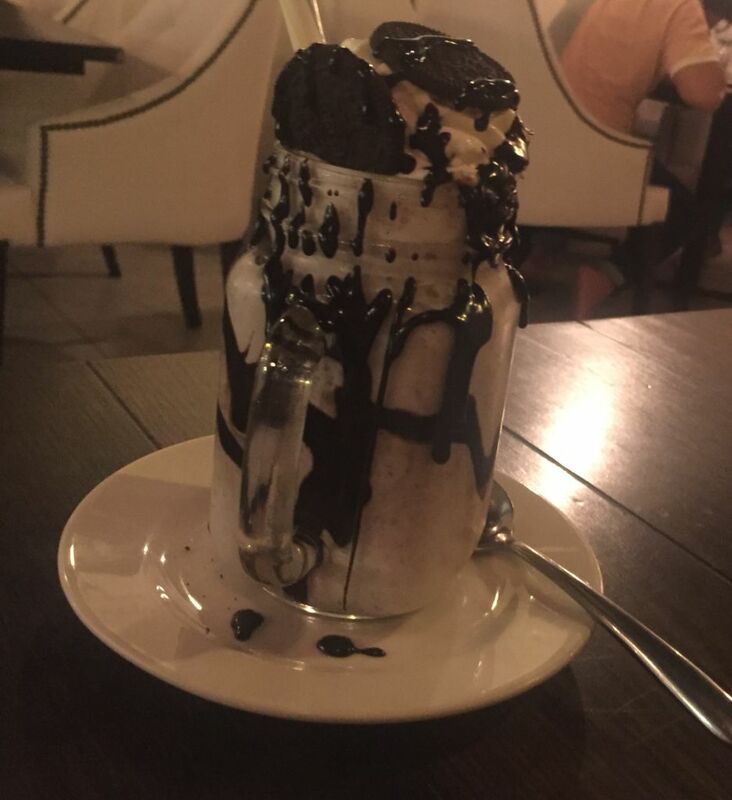 A divine shake with fresh cream, chunky Oreos and Ice cream, this shake is a MUST try. They have other variety in shakes too, and my next try is definitely going to be their Kitkat shake. Literally, after stuffing all this yummy food when I asked for the check, waiter insisted us on having a dessert because the walls of Koffie Chalet quote “Life is short, eat dessert first”. After much insistence, I agreed upon having a slice of their best cakes named Naughty Nutella. By the looks, it seemed like any other gooey fudge cake layered with loads of Nutella on top. 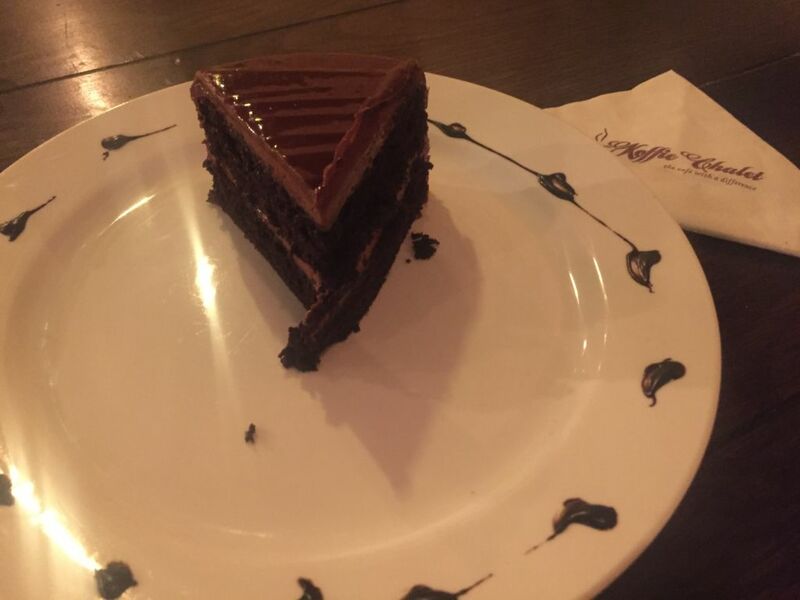 But after the very first bite, I was glad I ordered this dessert of happiness. The fudge seemed to be newly baked, so spongy with just the right amount of sweetness (I don’t like too much sweet) well balanced with Nutella on top. I could cry in happiness, one word: heaven! 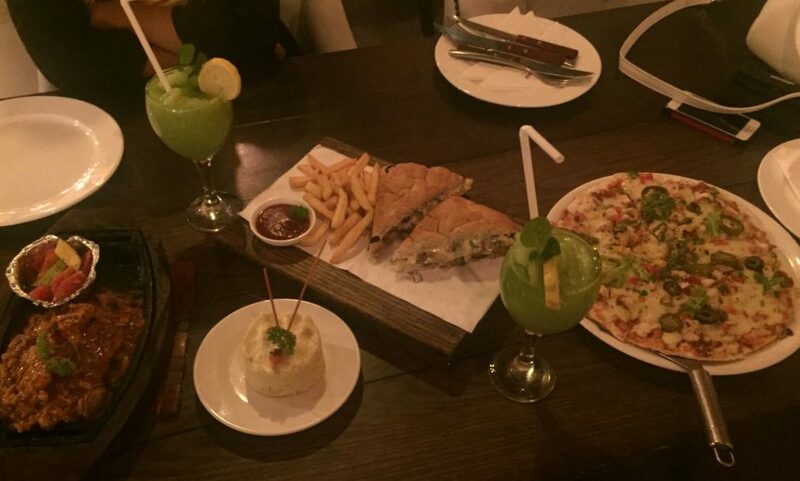 Koffie Chalet offers great value for money, food which is not only tasty but aesthetically presentable too. 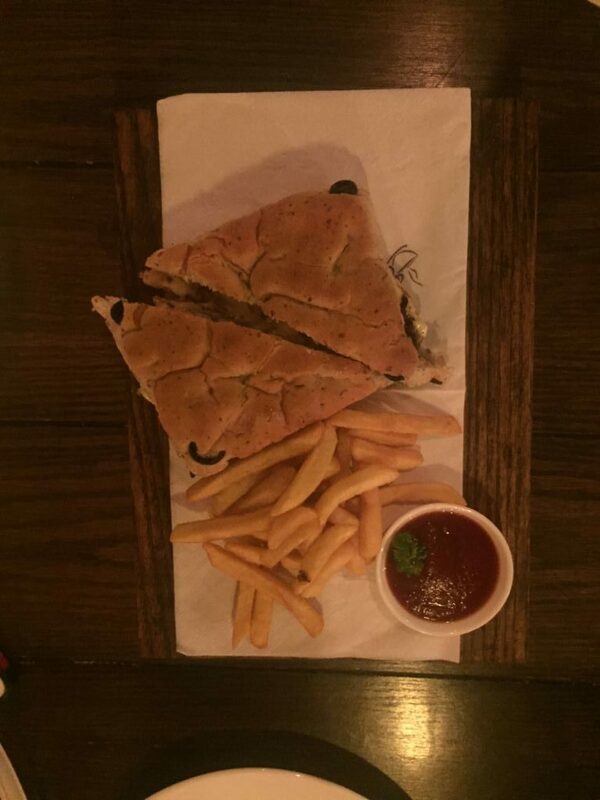 Chicken Cheese Goujon’s for PKR 650, Steak in Marinated Sauce (with mashed potato) for PKR 775, Roasted Beef Sandwich for PKR 625, Minttu for PKR 195 and Chalet Oreo Shake for PKR 350. Dessert was complimentary. I highly recommend Koffie Chalet to everyone looking for a classic menu, cool atmosphere, excellent hospitality and delectable food. The food there, just did not go to my tummy but to my heart. Have you tried the food at Koffie Chalet yet? Let me know if you think otherwise. Address: 9102, Captain Fareed Bukhari Shaheed Road, Karachi, Pakistan. An emotional freak with a passion for travelling, meeting and greeting new places and new faces. Die-hard Foodie defines me well, as I am certain whenever I die, the reason would be none but gluttony.